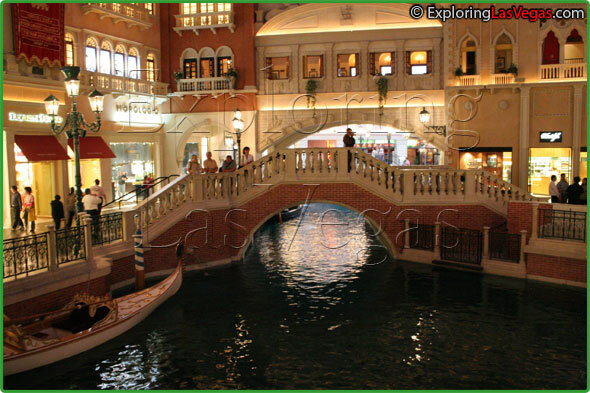 Grand Canal Shoppes strive to re-create the mystique of Italy as the perfect setting for shopping. 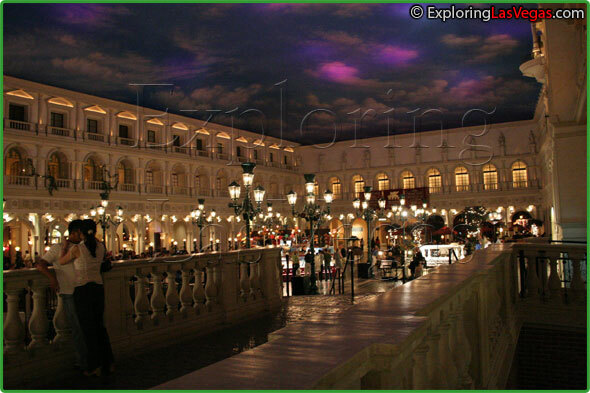 Spacious walkways, overhead frescos, and a Venetian's Grand Canal replica work together to create an atmosphere of excitement and fun. The Venetian Hotel and Casino is known for its romance, and it has successfully integrated that atmosphere into the experience of shopping. As visitors stroll along the canal they have not only the hotel décor to look at, but also embodiments of the charisma of Venice—an opera trio, a strolling juggler, boats in the canal, and a human statue. The paths converge in a replica of St. Mark’s square. There you can buy Venetian glass figures. 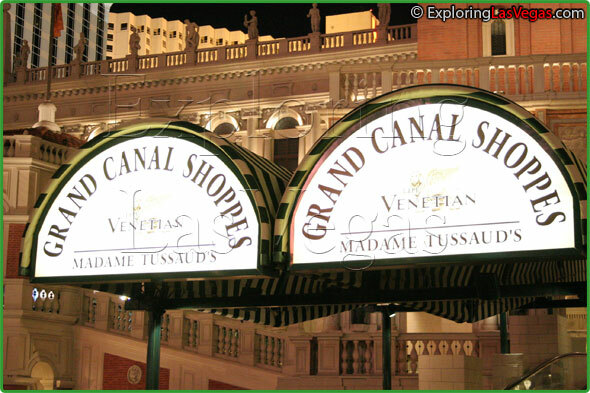 It is these specialty stores that make the Grand Canal Shoppes at Venetian Hotel so unique. For hand-blown glass figures in marine shapes, Ripa de Monti is the place to go. Il Prato caters to those seeking various items such as wax seals or mirrors.